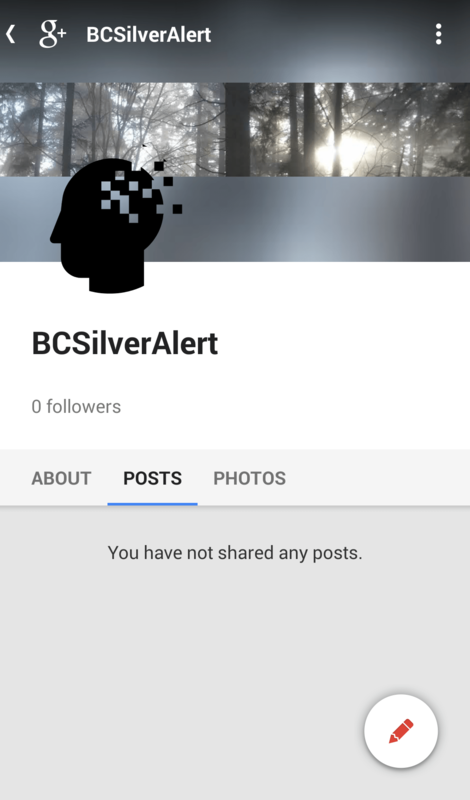 The BC Silver alert is voluntary and op-in only. You will only receive an alert if you subscribe via one of the following four alerting channels. When you get an alert, check to see if you are in the same area as the missing person. If you spot someone, follow these instructions. Email is the most reliable way to get updates on missing persons. When we post, you’ll get a quick email with a summary and a link to the article. On an Android device you can “Star” the account – this will cause your mobile phone to beep every time an alert is posted (a few times a year). See more about how to set up your Android device to receive notifications from specific Twitter accounts. 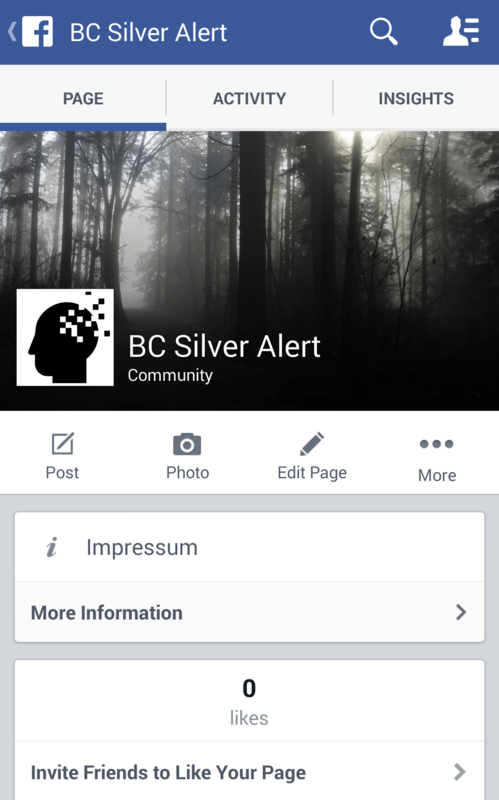 Like BC Silver Alert on Facebook. We will post alerts with the title and a link to the full text. Updates on missing people will appear on your timeline. Google+ is another way to receive notifications. This social media network is popular with many people, and can alert you as easily as Twitter or Facebook. RSS Stands for “Really Simple Syndication” and a number of mobile applications and services can subscribe to updates using this protocol. Use the RSS Link to subscribe. Feed or news reading applications exist for most mobile devices. Feedly is one of the more popular ones. 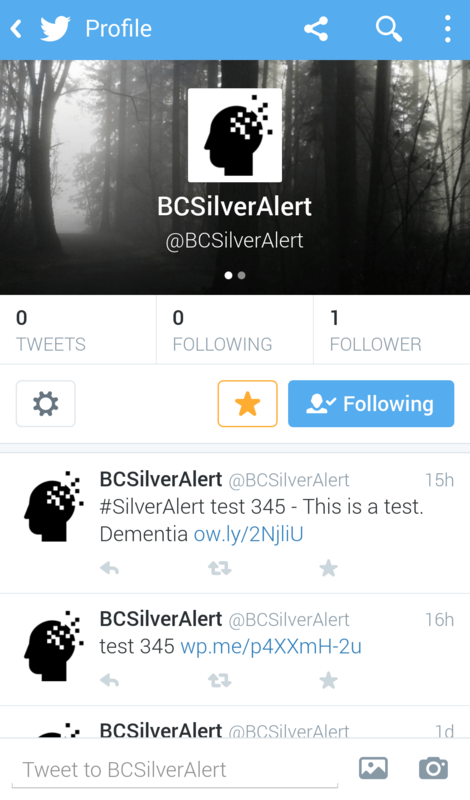 What is the Silver Alert? All contents copyright BC Silver Alert except syndicated content. This site is for informational purposes and syndicates missing persons information from the police agency of jurisdiction..